However, apart from the regular use, ACV is also said to command amazing medicinal properties. Loaded with probiotics and enzymes, while being low on sugar and calories, ACV can be great for overall health. 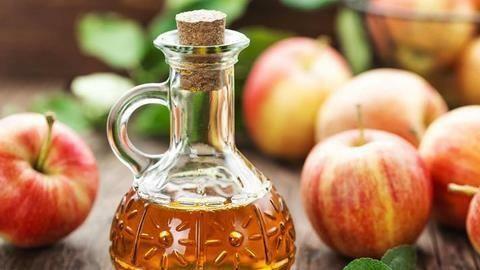 Here are top 6 health benefits of Apple Cider Vinegar. Blood sugar: Several studies have proved that regular intake of Apple Cider Vinegar (ACV) helps regulate blood sugar levels. It might also increase insulin sensitivity, thus aiding to control blood sugar. Hence, it can be great for people with diabetes, pre-diabetes. Acid reflux: Owing to its acidic nature, ACV can effectively help treat acid reflux, often caused due to low levels of stomach acid. Blood pressure: High blood pressure might cause heart disease in the long run. Apple Cider Vinegar has been shown to reduce blood pressure to normal levels. So, up your ACV consumption to keep your heart healthy. Cholesterol: High blood cholesterol is a major heart-health issue. To stay safe, and keep your arteries healthy, consume ACV, as studies suggest it significantly helps lower cholesterol levels. Weight loss: A review of studies indicates that consuming ACV helps increase satiety, thus reducing hunger, and promoting healthy weight loss. So, add it to your daily diet to lose those unwanted kilos. Skin health: The antibacterial properties of ACV make it a good antidote for acne, scarring, and other skin issues. Up your daily-intake of ACV if you wish for smooth, flawless skin.